I think big families are pretty awesome. I don’t mind admitting that I’m glued to Keeping Up With The Kardashians every Sunday night, with their gazillion genetically-blessed family members. It’s fascinating to me, and a world away from what I know as an only child from a small family. When I was little, people would often ask if I had any brothers or sisters. They would always tilt their head and let out a sympathetic noise when I said, “No.” Rather harshly, some people can be quick to judge only children as selfish, socially awkward and materialistic. Now I’m not really one to toot my own horn but I’m fairly confident that these words do not really describe me. These are characteristics that many people possess, only child or not! What I have learned, as an only child, is to be independent, and to be comfortable in my own company. I never felt lonely as a child, I always had plenty of friends around – but equally, I am extremely happy in my own space. Moving into halls of residence at university was quite a culture shock – suddenly sharing a space with a group of complete strangers was different, to say the least! But I’m also really adaptable to my surroundings and environment, so once I’d got used to there always being someone else around, I absolutely loved the experience and threw myself into the social side of uni life. Apparently, more and more families are choosing to have one child. I’m sure that there are lots of socio-economic factors contributing to this trend – women choosing to have children later in life, financial pressures, the breakdown of relationships, etc. My hubby and I have also decided to stick with one. If we ever end up making any kind of announcement in the future, presume it was an accident! It suits our lifestyle, our wellbeing and our financial security to be a family of three. 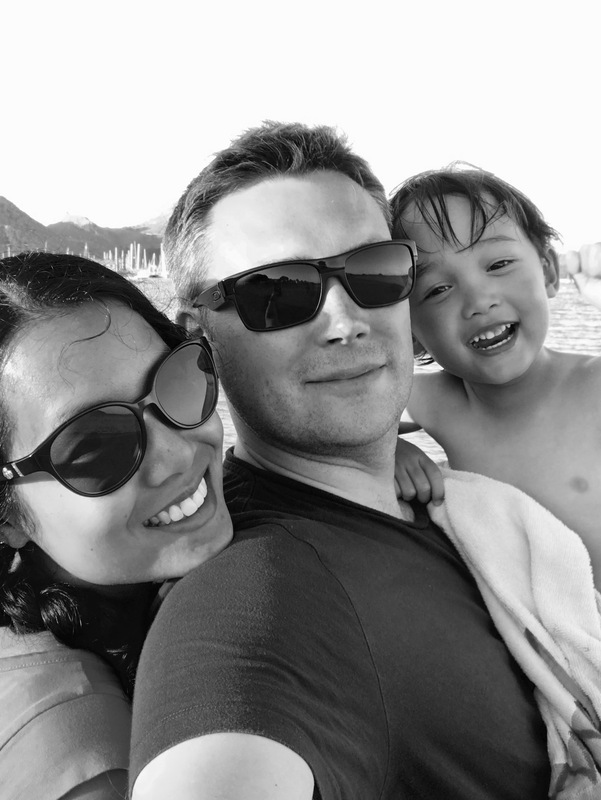 Even though our son is nearly five, the memories of the intense labour, the sleepless nights, and all those challenging moments that push you right to the edge even though you are rock solid as a couple, haven’t faded, and we just can’t go through all that again. For the sake of the happiness and sanity of our family unit, we’re sticking to one! Props to those of you who have had more, and are going through the sleepless nights right now, but it’s just not for us. To be honest, even when I was younger, I always thought I would have one. I once heard someone say that you’re not a real mum unless you have two kids. WTF?!! Really? Whatever. One, two, three or twenty kids – it doesn’t matter, we are all real mums, just muddling through and doing our best every single day to keep everything together and our mini mes fed, watered and happy. There will be challenges with just one. We’ll have to make loads more effort with having friends over, and making sure that our son has a strong network of people that he can trust. He’ll need to be very independent and self-reliant, but that’s a good quality for all of us to develop, siblings or no siblings. I want to dispel the myth of the so-called ‘only child syndrome’. If you are also ‘one and done’, for whatever reason, please don’t worry or feel bad about it – even if others (however well-meaning) try to make you feel that way. Family units can be small but no less significant or real. I’d love to hear your thoughts so please do share a comment below.